The Central and Southern Appalachian region is known for its biodiversity with some of the highest numbers of salamanders, plants and fungi anywhere in the temperate world. But another enchanting and diverse ecosystem hides underneath these lush and scenic mountains in a wide variety of caverns found across the region. 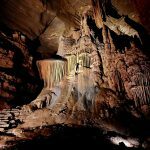 The Cumberland Plateau hosts an especially stunning array of caves. 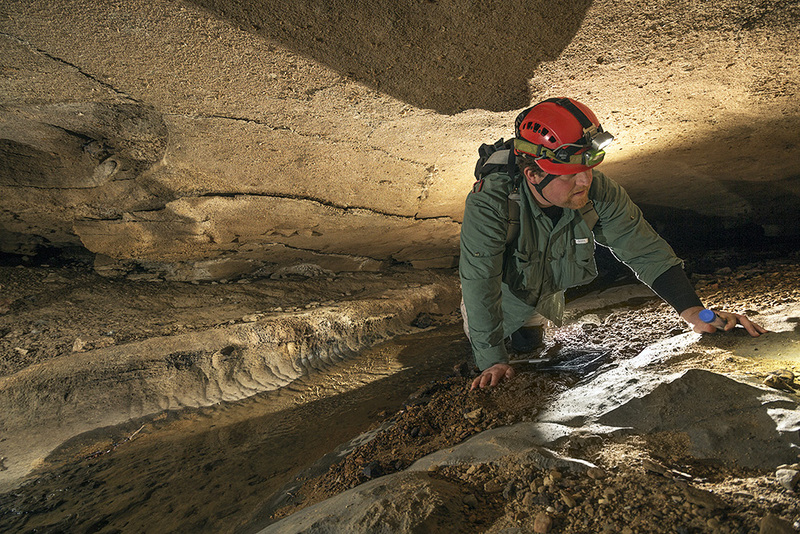 For years, Matthew Niemiller, a professor at the University of Alabama in Huntsville, has been studying organisms that are only found in caves. 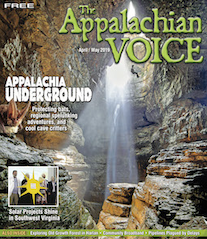 The hundreds of species that call Appalachia’s caves home have overcome these challenges through a host of bewildering adaptations. 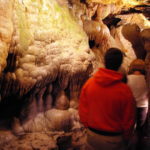 Deep underground, there is no light, and the source of most nutrients comes from the surface, such as plant debris that washes into the cave and the fungi that grows on the droppings of bats, woodrats and cave crickets that venture down below. Many species have stopped growing eyes completely. 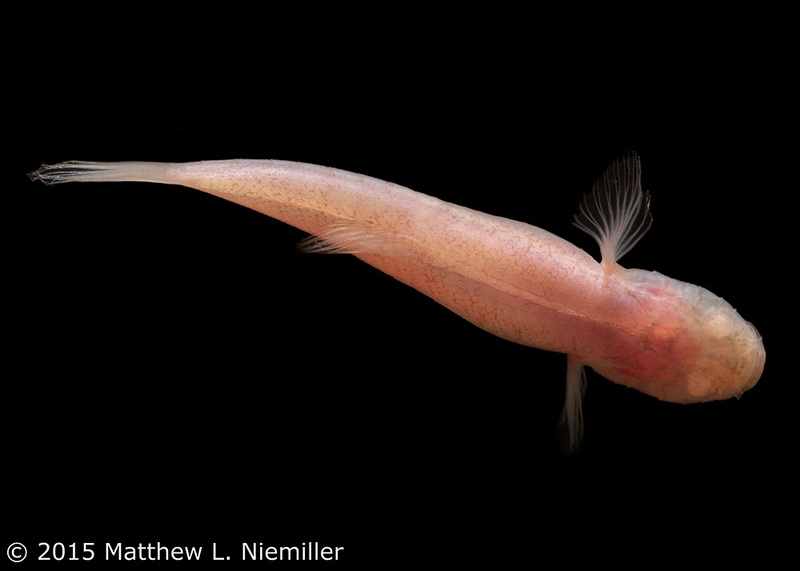 Instead of eyes, southern cavefish have a finely tuned system of sense organs that run along their body with large structures called neuromasts that allow them to detect the tiniest vibrations in the water. They use this to locate potential food sources and to navigate. 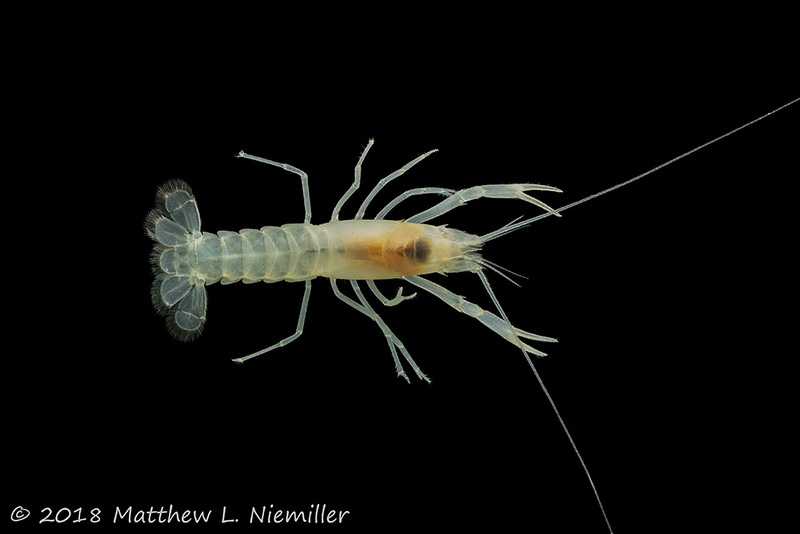 Some invertebrates have developed elongated limbs and appendages to help them maneuver. Millipedes and springtails have noticeably extended antennae that help them detect changes in air currents. Cave species also do not need to produce pigment in their skin and exoskeleton, as they do not need to blend in with their surroundings or protect themselves from the sun. In addition to these physical changes, cave species also adapt their lifestyle to the infrequent and sparse availability of food. According to Zigler, while crayfish found in surface waters typically live for two to three years, studies indicate that subterranean crayfish can live for several decades. With these physical and lifecycle changes, many cave species are unable to live on the surface or move from cave to cave. Over time, this isolation has led to the diversity on display today. This is an extreme example of endemism, the ecological state where a species is unique to a defined geographic location. Around a third of known cave species, like these beetles, are found in just one or a handful of cave systems. Endemism provides challenges for researchers who want to learn more about the biology and biodiversity of cave species, which in turn leads to difficulties in understanding how to protect them. While cave creatures might not be the prettiest mascots for environmental protection, they are vital for understanding the health of the region. 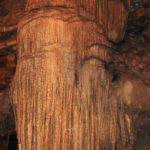 Caves and their inhabitants are inherently vulnerable to changes on the surface. Pollutants can enter underground waterways through surface water or through human disturbances such as pipeline construction near porous karst rock formations. Deforestation destroys the homes of bats and other animals, disrupting the cycle of nutrients coming in to the cave, and can change surface water patterns in ways that alter the water flowing underground. All of these impacts can have a cascading effect on the communities of subterranean organisms. The majority of rivers in the Southeast are derived from mountain headwaters, and a majority of communities in the Appalachian region rely on groundwater as a drinking source. 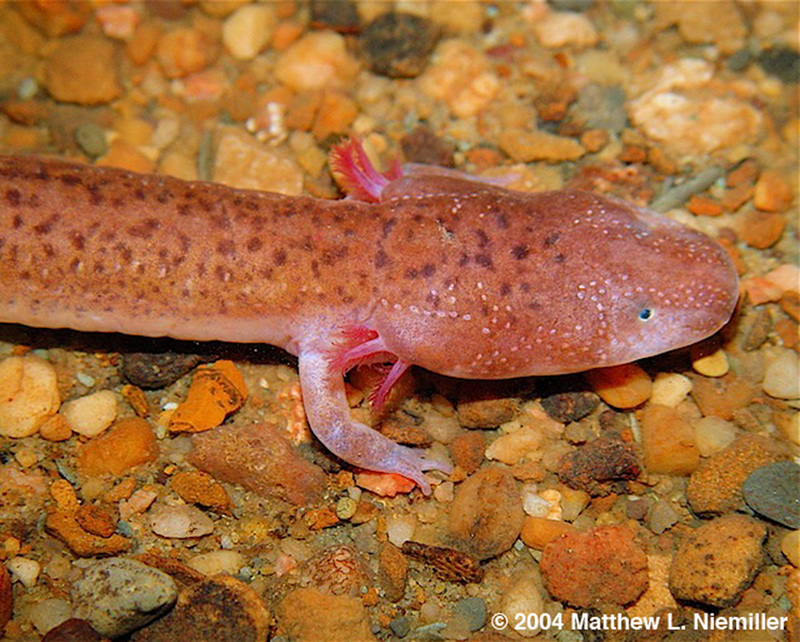 Cave species are also important models for learning more about aspects of certain diseases. 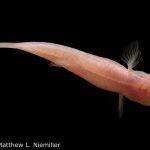 According to Niemiller, southern cavefish have curiously avoided developing metabolism disorders that should arise from the lack of nutrients they receive. Diabetes researchers have focused on the Mexican blind cavefish, a relative of the southern cavefish, with hopes of finding a new strategy to help humans with the disease. Other species could have completely undiscovered applications. Whether it’s the eyeless and long-limbed Appalachian cave harvestman arachnid or the ghostly Tennessee cave salamander, these creatures have demonstrated an ability to thrive under circumstances that most life forms would find impossible. As Earth undergoes the shifts of climate change, there may be much to learn from these underground survivors.